It’s summer! Okay, well not officially, but it is only a few weeks away. Besides when the temperature reaches over 85 degrees I call that summer! If you are like me and my family you are outside all the time. We are lucky enough to live near a couple of awesome lakes and have many friends and family members with lake houses and boats. We spend at least 1 day every week out on the lake and the time we are not there is usually spent outside at the barn. Spending almost all week in the sun every week of the summer sometimes my skin needs a little extra support. 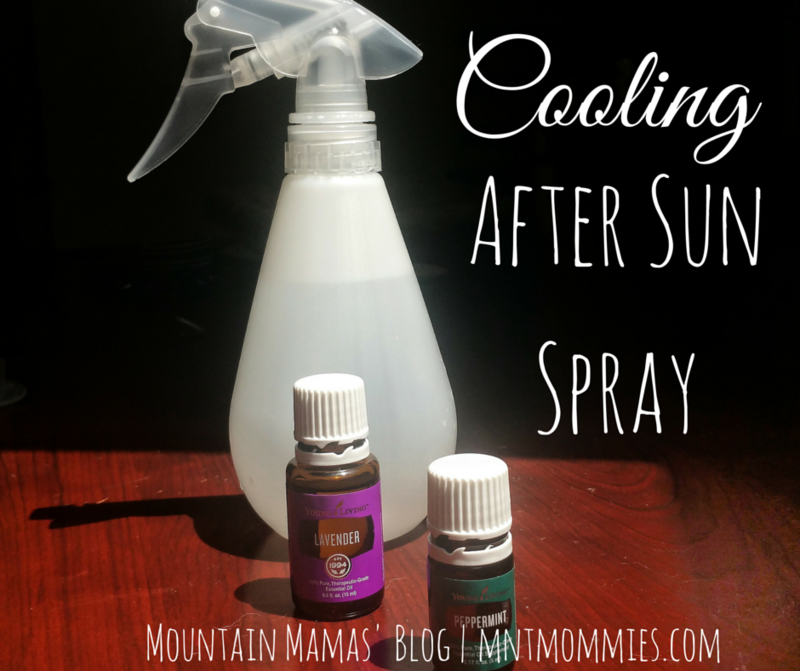 So I played around with a few different ingredients and finally made this awesome Cooling DIY After Sun Spray that works wonders! 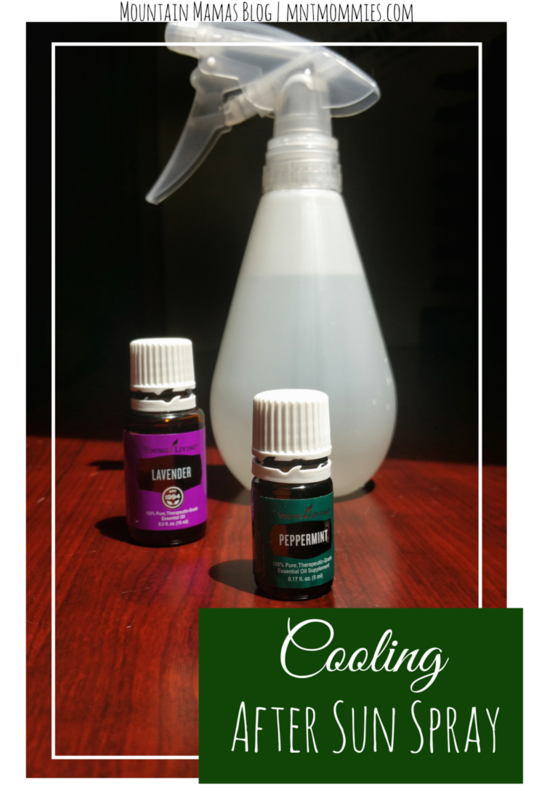 Glass Spray Bottle or you can re-use an essential oil safe green cleaner bottler like I did. Add the aloe vera gel to the boiling water and mix. Add the tea bags to gel and water mixture and let them steep until cool. Then add the water and the remaining ingredients together in a spray bottle and shake to combine. I usually put mine in the fridge so it gets nice and cool then spritz it over my skin as needed. I also use this spray when I come in from working outside and I am really hot, it helps me cool down much faster. Apple Cider Vinegar: It relieves pain, cools skin, and balances pH to promote healing. Aloe Vera Gel: has anti-inflammatory properties and helps skin cells regenerate faster. Peppermint Tea/EO: Is refreshing and cooling on skin. Green Tea: Has anti-inflammatory properties and other ingredients that help protect skin from UV radiation damage. Lavender EO: Helps support healthy skin. This entry was posted in DIY, Essential Oils, Skin Care and tagged beauty, crunchy, DIY, home remedies, natural, natural living, organic, skin, skin care, summer, sun.